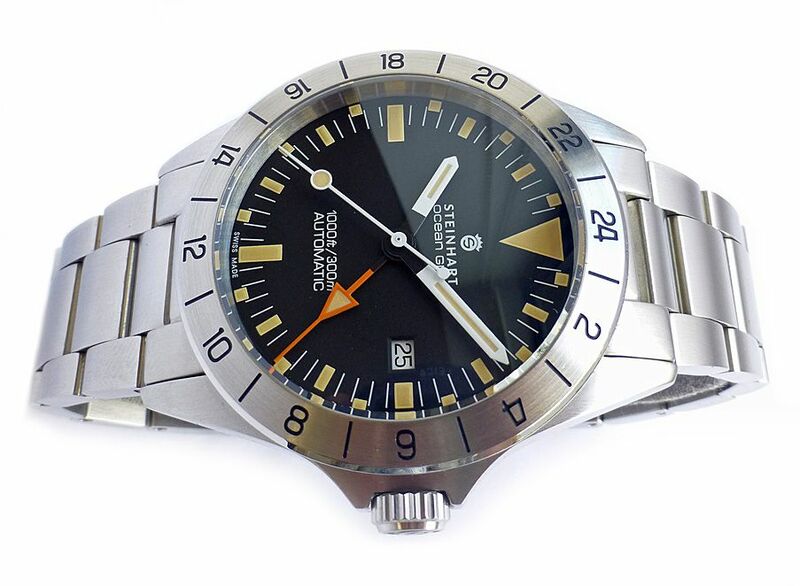 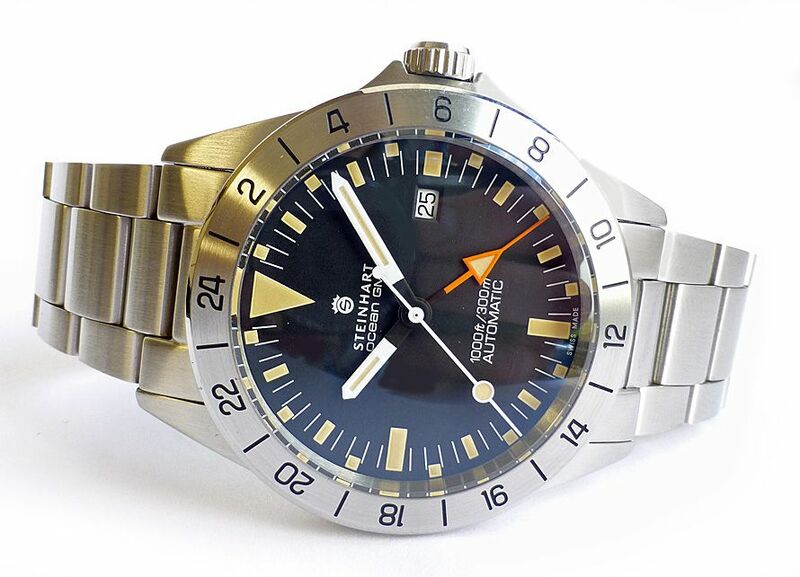 Used but mint condition Steinhart Ocean Vintage GMT automatic divers watch complete with box and papers, Originally bought from us in January 2018 so just 5 months old when taken into stock. 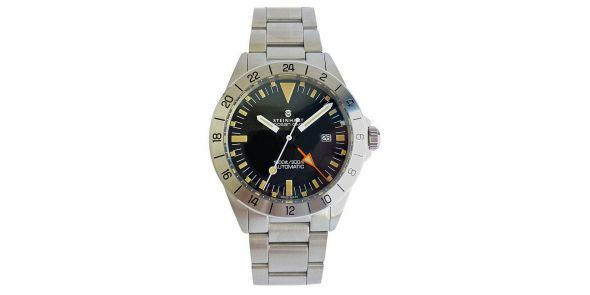 The sporty ruggedness of the Ocean makes it stand out from other diver watches. 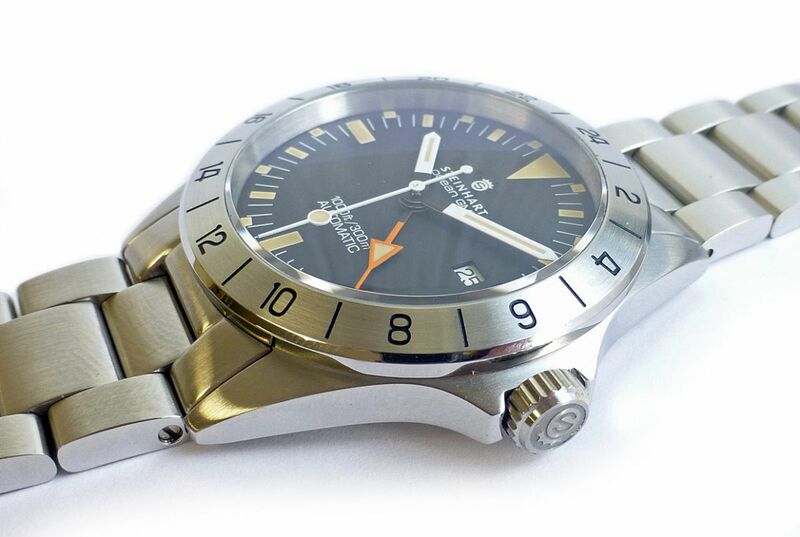 The design is one based on a classic GMT design. 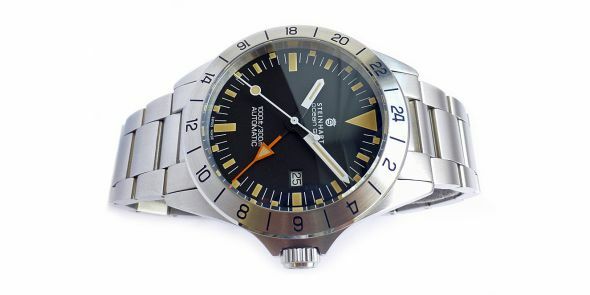 Its solid design guarantees highest resilience as well as an outstanding quality. 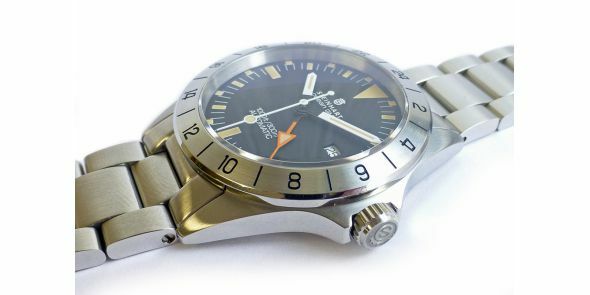 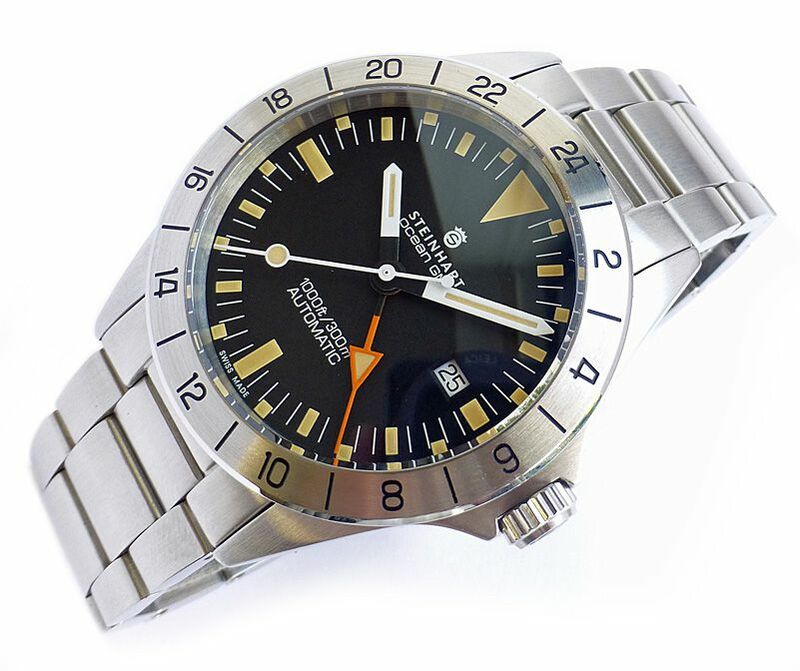 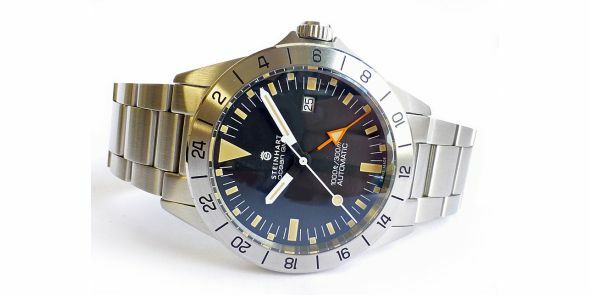 Within the large genre of sports diver watches the Ocean Vintage GMT is one of the few examples in its price range which demonstrates such an excellent cost-performance ratio. 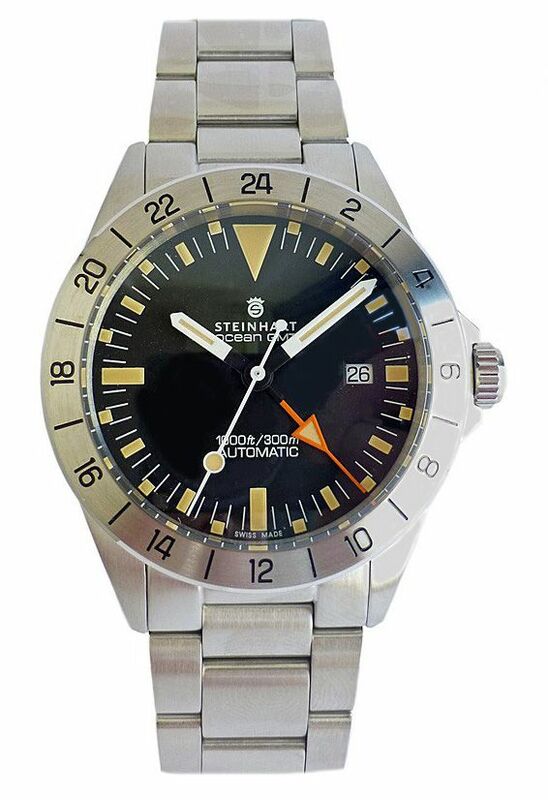 Made by Steinhart, one of Germany’s independent up and coming brands. 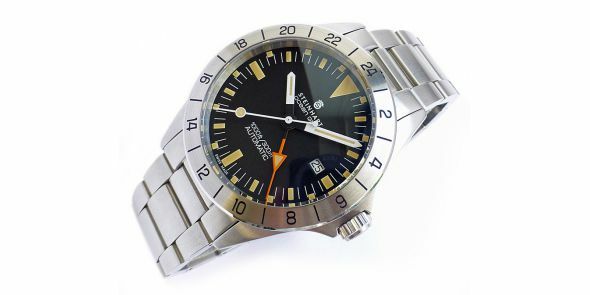 hour and minute with Superluminova "old radium"